Snellings View on Kangaroo Island, SA. 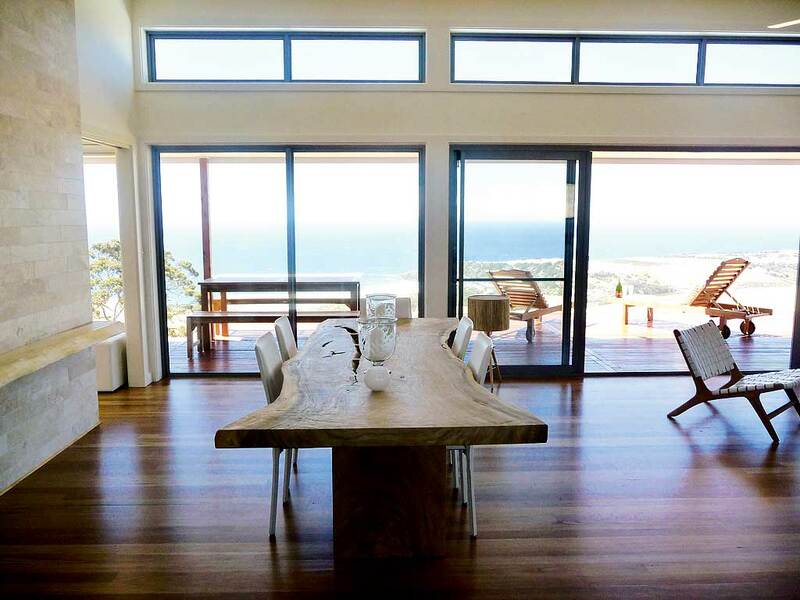 A sneaky peak at Snellings View, a luxury stay on the north coast of Kangaroo Island. The Snellings in question is an isolated beach on the north coast of Kangaroo Island – which is never exactly overrun with tourists in the first place. Hence you’re likely to have the beach to yourself, bar a few locals fishing for salmon or whiting. Snellings View was built in 2009 by long-time friends Nan Caple and Jenny Watt, who had fond memories of childhood family holidays spent in the area. The property features two separate two-bedroomed houses, each sleeping up to six people. But they are connected by a foyer, so they can be booked together. To enjoy the view illustrated takes a bit of planning, particularly when it comes to the fresh fruit! Kangaroo Island is renowned for its local produce (see our feature in issue #36), which includes everything from honey and olive oil to lamb and wine, but it’s not a matter of popping down to the corner shop to stock up. Google Maps suggests allowing 90 minutes for the 75km trip to Kingscote, KI’s largest settlement, though the owners claim it’s actually only 40 minutes. Also, you want to avoid driving on the island after sunset, as the abundant local wildlife likes to frolic on the roads. If you can’t catch your own dinner with a rod down on the beach (and don’t fancy a roadkill barbecue), other dining options include the nearby Lifetime Private Retreats, which is sometimes able to provide meals by prior arrangement, or The Rockpool Café just along the coast in Stokes Bay. In other respects, Snellings View is perfectly located as a central base to explore this 155km-long island’s sights, such as the sea lions and fur seals of Seal Bay on the south coast, or the rock formations of Admirals Arch and Remarkable Rocks in the south-west. But for an attraction closer to home, try to spot Snellings View’s resident koala. 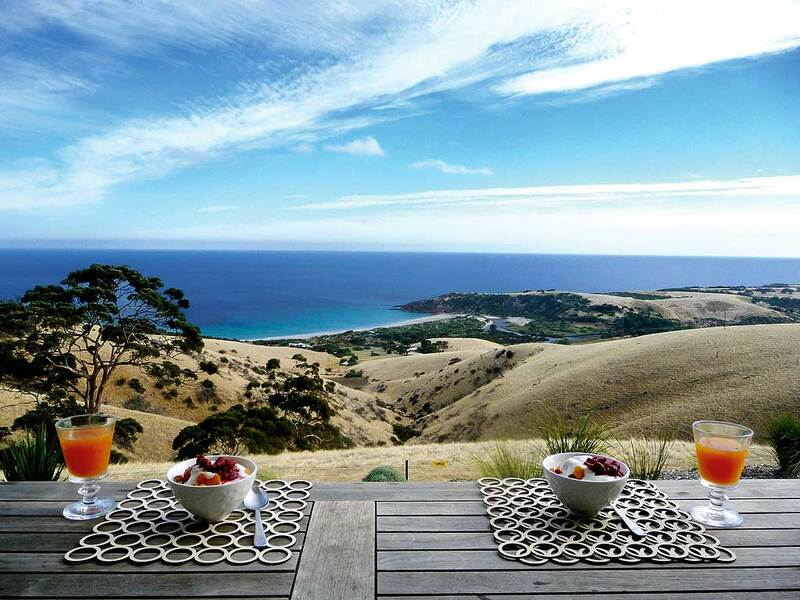 Where: North coast of Kangaroo Island, a 90-minute drive plus 45-minute ferry ride from Adelaide. Then it’s another two-hour drive along sealed and dirt roads from Penneshaw, where the ferry docks. Notes: From $295 a night for two people, low season.